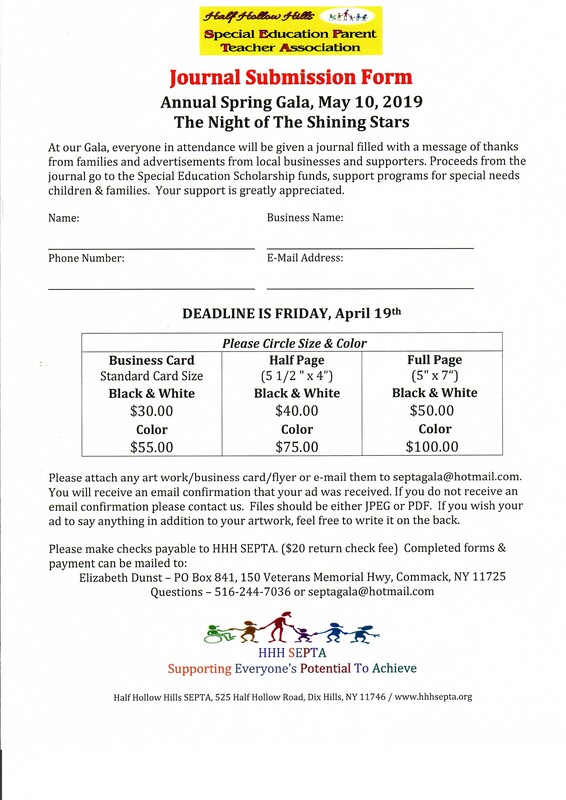 Welcome to HHH SEPTA's Night of the Shining Stars Gala page! 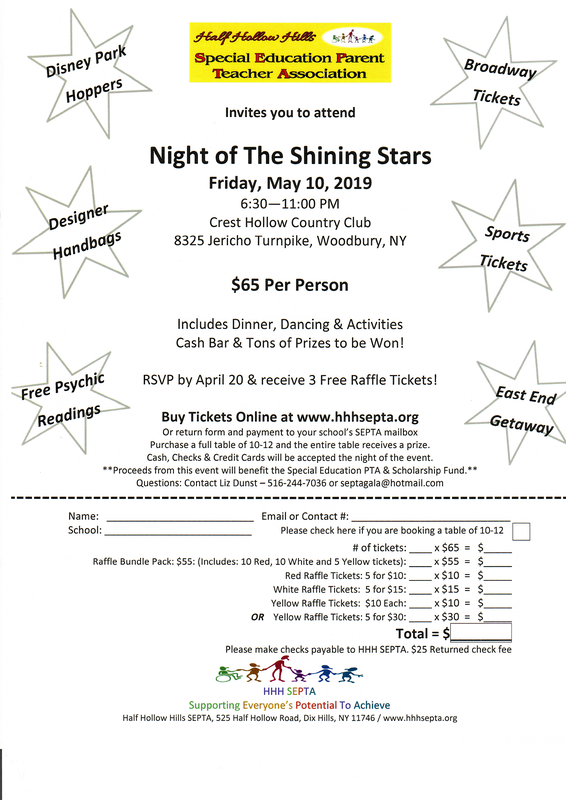 This event is our largest fundraiser of the year. 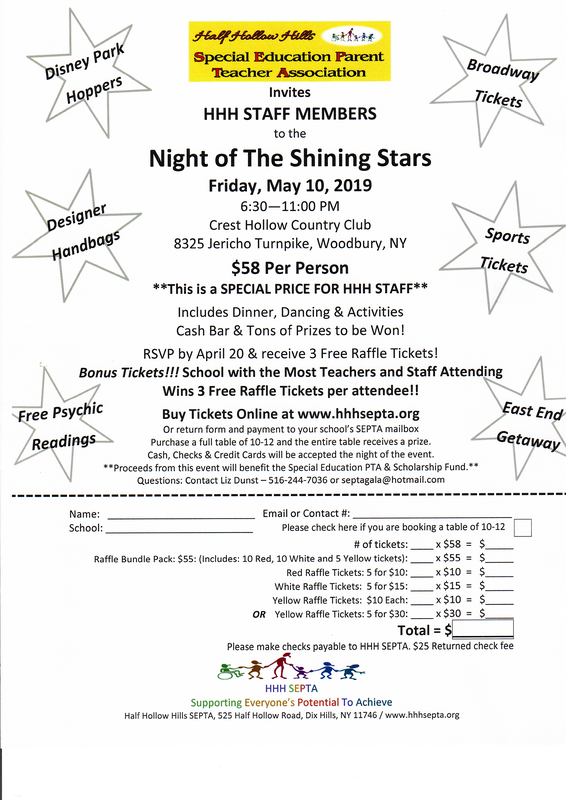 Proceeds from our annual event directly benefit the children and families of the Half Hollow Hills special needs community. 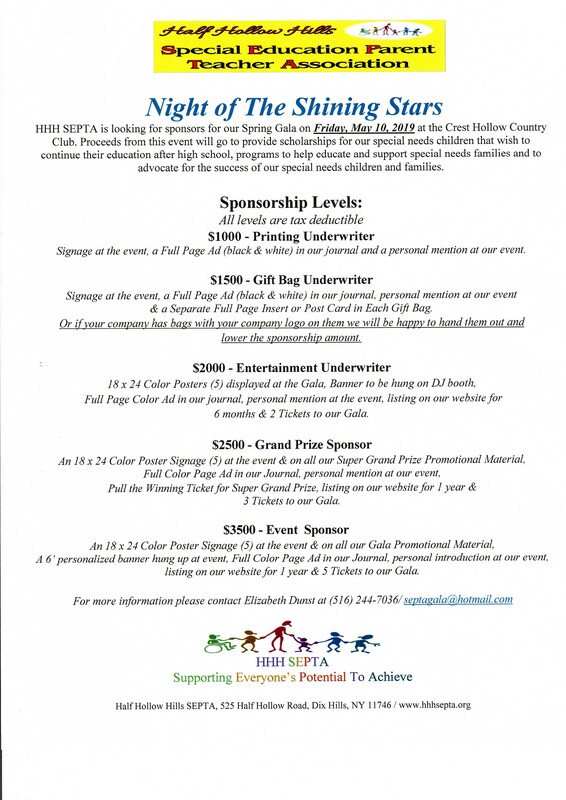 Please view the flyers below if you are interested in attending and/or contributung to this event. Thank you to the Gala Committee! Your hard work and dedication enriches the lives of so many. Our sincerest gratitude to the companies and individuals below who generosly donated to our Night Of The Shining Stars Gala! Our success would not be possible without each of you!